Closed Canyon in Big Bend Ranch State Park cuts through the Colorado Mesa and falls into the Rio Grande. 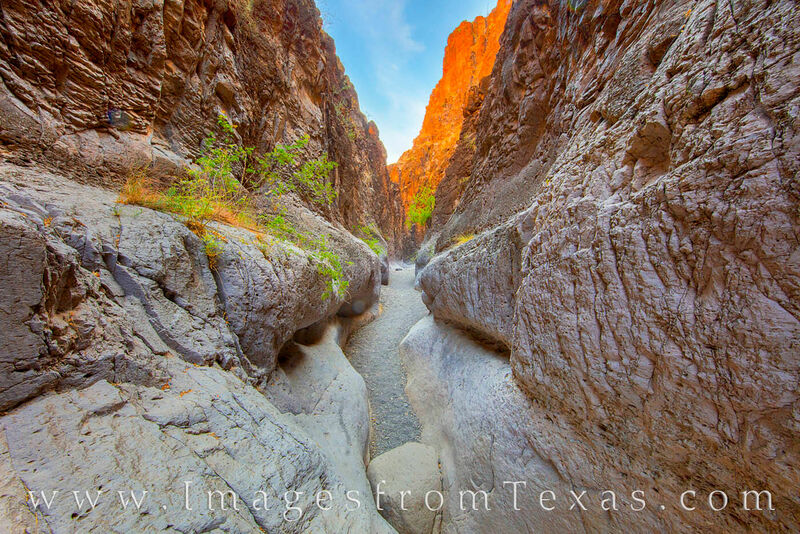 Just off FM 170, this hike is short - 1.4 miles round trip - but leads through a beautiful slot canyon. The colors of the rock walls change with the changing sunlight, and you’ll likely find yourself in quiet solitude as you explore the twists and turns of this path.